Advice to help your business go global! 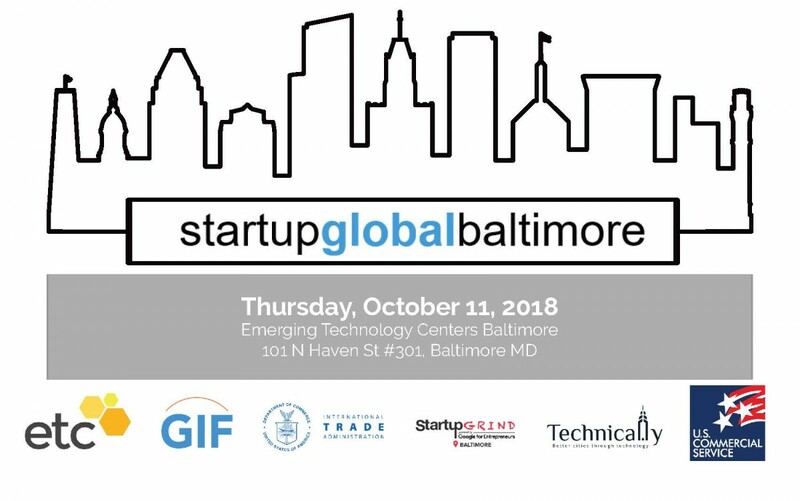 FREE program from US Commerce Service (part of US Department of Commerce) held at ETC in Baltimore, part of Baltimore Innovation Week (BIW18). There are several sessions throughout the afternoon, ending with a reception. Baltimore Sister Cities & Maryland Sister States will have a table at the event — stop by to learn how we can help your Maryland business expand to our sister regions!